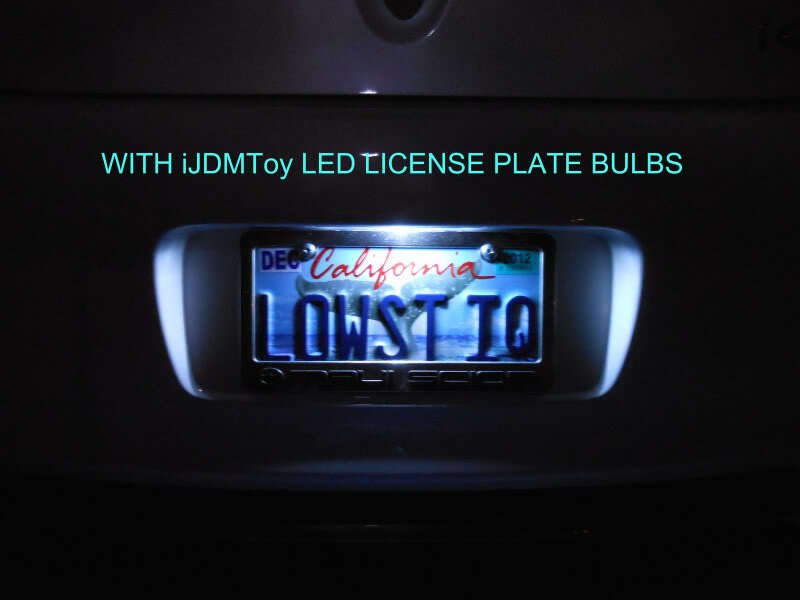 The stock 194 Wedge bulb used for lighting the rear license plate on the iQ is not the brightest bulb (pun intended) so I changed it out to a 194 Wedge type LED bulb from iJDMToy. It's a simple job and the results are much better than stock. 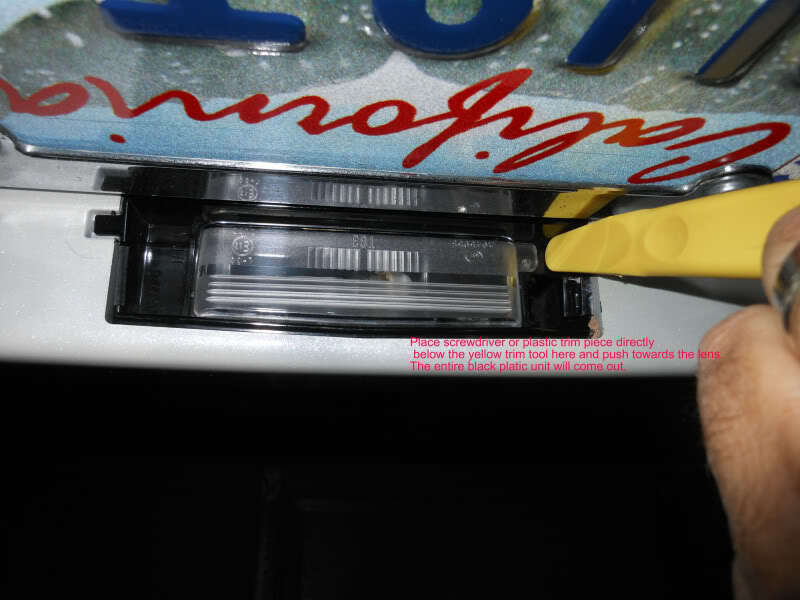 The only tools you'll need are a flat head screw driver or a plastic trim removal tool. 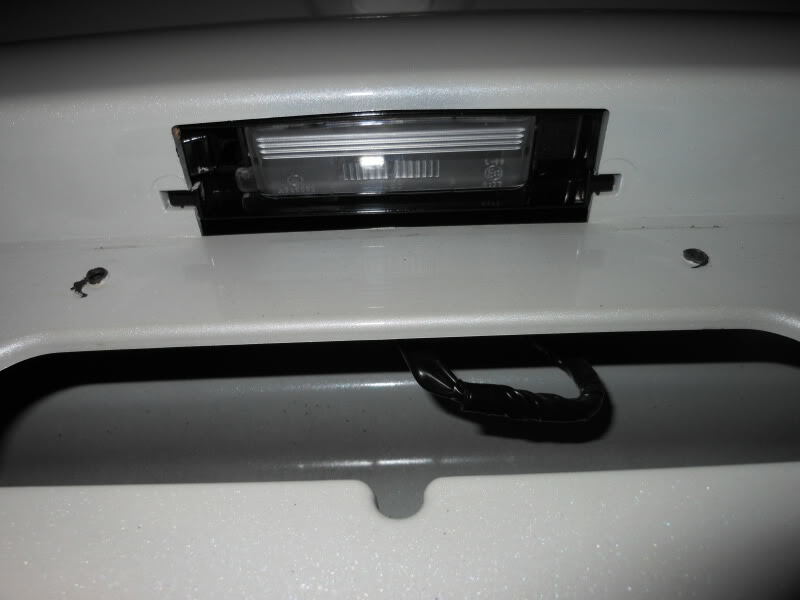 Using a flat head screw driver or a plastic trim removal tool, press on the black plastic tab located at the end of the lens and push towards the lens. 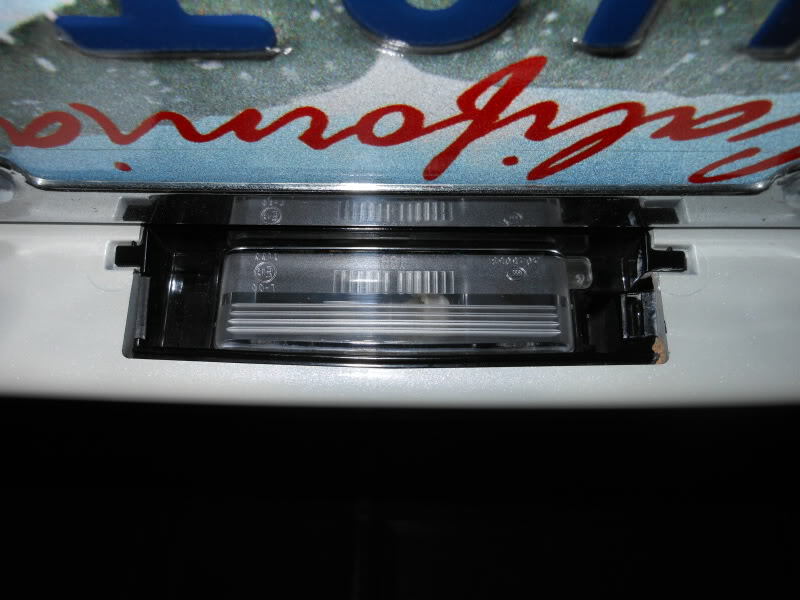 The entire black plastic housing will be removed from the bumper, not just the lens. 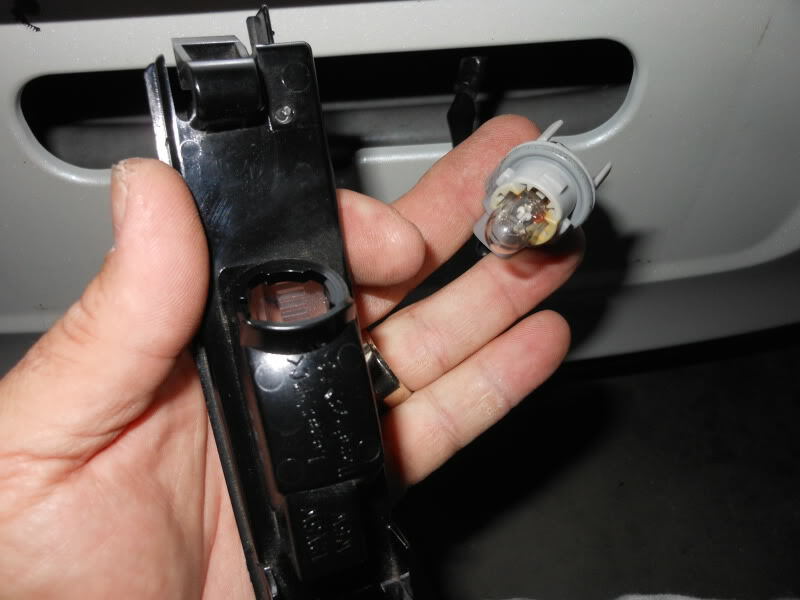 Gently pull on the stock bulb and it will come out of the socket. 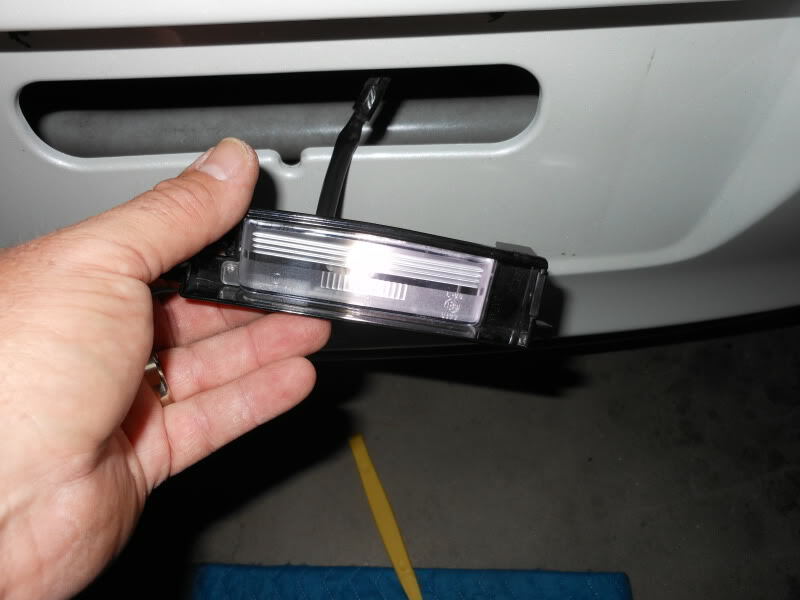 Replace the stock bulb with the LED bulb and turn on the lights to check that it lights. If it does not, reverse the bulb and try again. The LED bulb is polarity conscious and will only light if installed correctly. 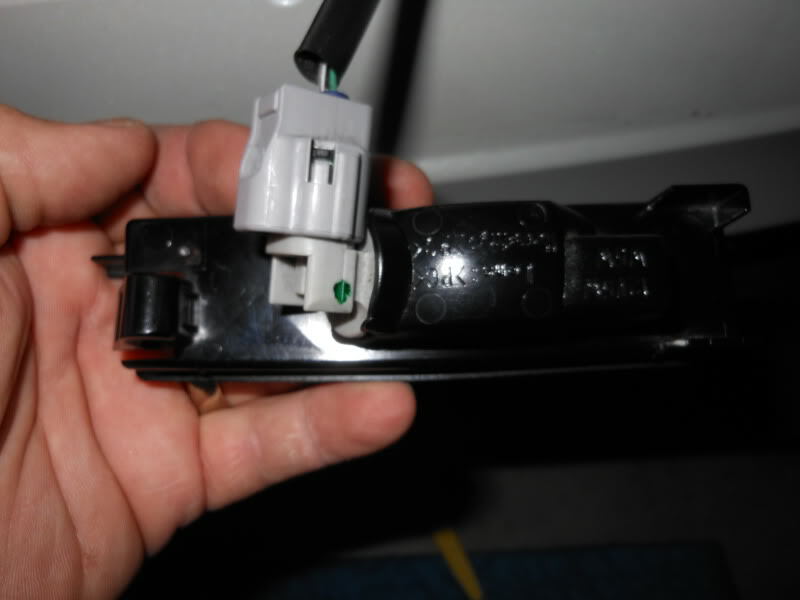 Once you are sure everything is working properly, the installation is the reverse of the removal. An easy job but the result is well worth the short time it takes to accomplish. It wasn't me but there is another iQ that looks very similar to mine. Same color wheels and graphics. I also installed one of iJDMToy's LED bulbs, and while it changed to color of the light, I didn't notice that much difference in the brightness over the stock light (been a while since I tried to attach photos, I'll now see if I can figure out the process again). 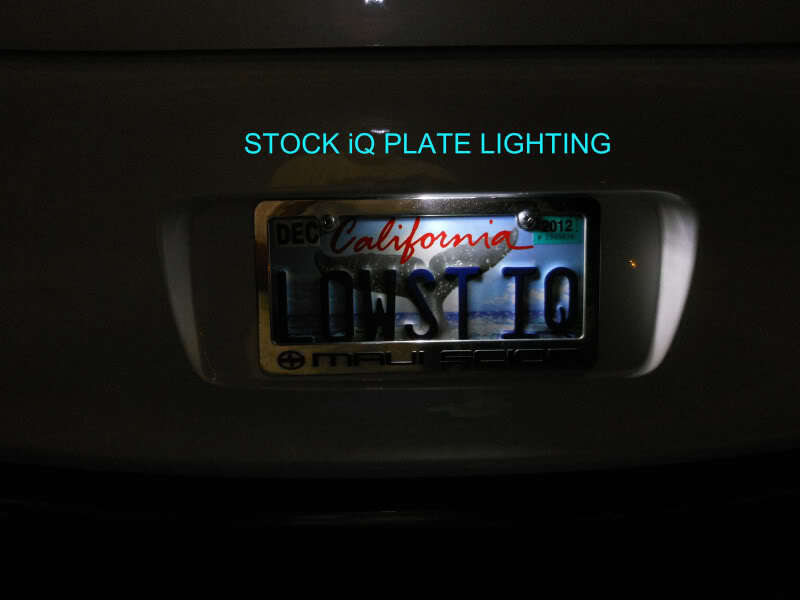 Your original plate light looks much brighter than mine was. I do like the blueish tint, goes well with your body color.